Remember, how as children, we’d often coax our parents for bedtime stories. They’d happily oblige and regale us with tales and fables that stretched the canvases of our imagination. By the time we grew up to understand choices, we refused to settle for those whose titles failed to entice our senses. It’s been decades since we experienced that thrill. But what if we told you that you could tear out of those pages and relive that thrill? How does ‘Saur Village Festival’ sound for a start? To those already familiar, you know; what we are talking about. To those who are new, read on. Nestled inside the mighty mountains of Garhwal, is a quaint, little village called Saur, one out of the 1053 others in Uttarakhand, whose residents have fallen prey to a necessary exodus into urban settlements. 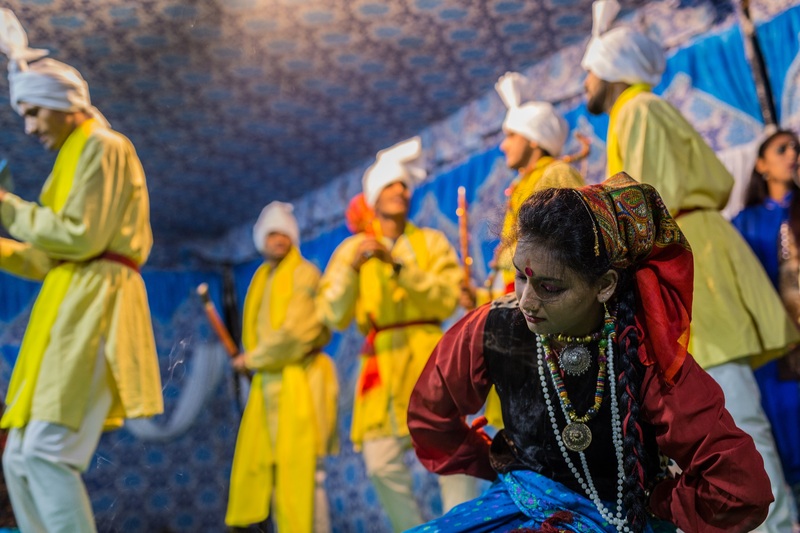 The Wise Wall Project last year was followed up with the highly eventful and soul-stirring “Saur Village Festival” for honoring the annual fair that once used to be the lifeline of this village. Over 100 people from all over the country – buzzing with the excitement to experience the lives of these people, to listen to their stories, to paint their fables on walls, to learn and unlearn and to contribute to the socio-economic conditions of the residents – took part in the 2-day long festival. This year, your time at the festival will include an opportunity to participate in creative workshops, understanding village culture by interaction with local folks, taking walks in and around the village and admiring all that we miss in cities. Honestly, we can’t wait for the festivities to begin again. Come be a part of it: from stargazing to camping to making friends anew, we promise you this and more! Just like last year, this year too, the festival and the exclusive workshops are open to the first 100 applicants. The dates for this year’s event are 27th and 28th of October, 2018. The selected applicants must reach Dehradun latest by 26th of October 1:00 P.M. The fees is Rs. 7500/- INR which includes transportation to Saur from Dehradun and back, food, lodging and workshops. The selected applicants are expected to make travel arrangements to and from Dehradun. Deadline to fill the application is 1st October, 2018. Apply now by clicking on the link below !